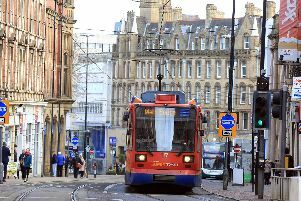 The election of England’s seventh metro mayor, Dan Jarvis, in May last year was a landmark moment for the Sheffield City Region and Yorkshire, writes Communities Secretary, James Brokenshire MP. The metro mayors have reconnected people with politics and empowered communities to respond to the opportunities and challenges that come with Brexit. No other government in history has embarked on such a far-reaching programme of devolution for England. It’s clear that these powerful and accountable ambassadors for our city regions will define the future of devolution in England for generations to come. The Government has heard the calls for a One Yorkshire metro mayor received from Mayor Jarvis and a number of Yorkshire council leaders in October. Since then, I have carefully considered the economic case they provided and met Mayor Jarvis. My colleague, the Northern Powerhouse Minister, Jake Berry MP, has also met leaders from across Yorkshire for detailed discussions around how we all see devolution evolving. Yorkshire has a proud history and heritage with diverse communities, traditions and identities, which have all played their part in defining the modern region we see today. I appreciate the enthusiasm and dedication that has come from Yorkshire leaders in developing the idea of whole Yorkshire devolution. However, the Government considers the proposals put forward for One Yorkshire devolution do not meet our devolution criteria. They do not show how a single accountable mayor will be empowered to take tough decisions across a single economic area and there are no proposals for local authorities to give up powers to the mayor. The One Yorkshire concept is novel. The mayoralty would cover the whole of Yorkshire with a population of 5.5 million people and widely varying rural and urban areas with competing needs. It focuses on a geographical area that is far greater than any past local administrative area for Yorkshire or any of today’s functional economic city regions. We have always been clear that a mayoral deal for Yorkshire must be on the same basis as the other mayoral deals. Yes, that means a transfer of powers from Whitehall. But it also means councils across Yorkshire giving up some of their powers to an elected mayor. Devolution is a partnership where Government and individual local authorities give away powers for the greater good. Our priority is, and must remain, realising the next steps of the Sheffield City Region deal. We want the people of South Yorkshire to receive the full benefits of the £900 million of new investment and devolved decision making by the mayor who is, and will continue to be, a strong voice for Sheffield and Yorkshire. To those who believe so ardently in a single mayor for the entire region, I say this: the Sheffield City Region Deal need not be the last chapter for devolution in Yorkshire but implementing it is essential if progress is to be made. We are prepared, if local leaders wish, to begin discussions about a different, localist approach to devolution in Yorkshire. We know there is local appetite for other devolution elsewhere in Yorkshire, with representations having been made previously by the Leeds City Region, York and North Yorkshire and the Humber Estuary. In line with current Government policy, we would be prepared to consider any proposals submitted on the basis Sheffield City Region deal is completed, honouring the Mayor’s commitment to local people. I believe this is a practical and realistic way forward. It recognises the wide support for devolution in Yorkshire and provides a practical approach to make progress. It can equally begin to deliver benefits in the short term to people and businesses in Yorkshire, including beginning the £900 million of new investment for the Sheffield City Region. And across Yorkshire there continues to be opportunities for leaders to collaborate when people come together around major events like Yorkshire Day, hosting ambitious international sporting events like the 2019 UCI Road World Championships and a future enthronement of a new Archbishop of York. Events which celebrate Yorkshire identity and put the county on the national and world stage. There is great cause for optimism, ambition and hope for the devolution agenda in Yorkshire. We share the vision of more money and power being taken away from Westminster and placed directly into the hands of local communities.